If you hoard gadgets like us, then your living room is probably covered with a plethora of remote controls. Flyover Innovations’ Indiegogo campaign aims to streamline your home audio experience and minimize your mess with Blumoo, a small hardware platform that turns your mobile device into an RF remote. 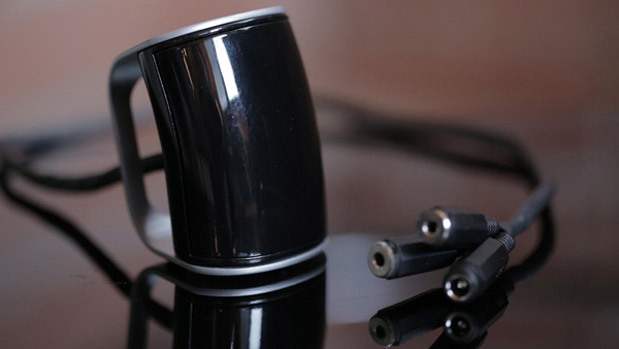 The IR-equipped Blumoo pod connects to your stereo via standard 3.5 mm jack or RCA connections, and allows you to control your home theater system with your mobile device through the magic of Bluetooth. The Blumoo app — coming soon for both iOS and Android — pulls from a database that Flyover claims is comprehensive enough to ensure your home theater equipment is covered. Flyover plans on retailing the device for $79 but is offering an early bird special for supporters starting at $45. To check out their rewards and watch their cartoon mascot, Blumoo Bob, shake it a like a polaroid picture, head over to their Indiegogo page. For a more informative — if slightly less entertaining — video, watch the preview after the break. Everyone’s found themselves in this situation at one time or another: you’re in a picture-perfect setting, but a selfie at arm’s length won’t cut it. You want to be in the picture, so you wait for a friendly looking passerby and ask them to take it. But, now it’s out of your control, and chances are the resulting snap won’t turn out exactly as you’d imagined. Samsung knows you’re too polite to hold the stranger up while you convey your vision, so it has come up with a camera feature that does the explaining for you. It’s described in a recent patent filing, and the gist is that you select the backdrop and take an initial snap that acts as a guide for the next, similar to how some panorama modes work. With a silhouette of the desired scene now showing atop the live view, the designated stranger just needs to let you get in the shot, line the overlay up with the live scene, and hit the shutter release. The patent application also talks of editing the overlay, such as adding a circle to show the photographer where you’d like your face to be in relation to the backdrop. If you want the passerby to know how well they’re doing, the claims explain an on-screen “composition score” that would rate their lining-up skills. And, if you’d rather trust the final decision to the camera, a ball-in-the-hole scenario is described that’ll automatically engage the shutter release when the live view matches your ideal layout. 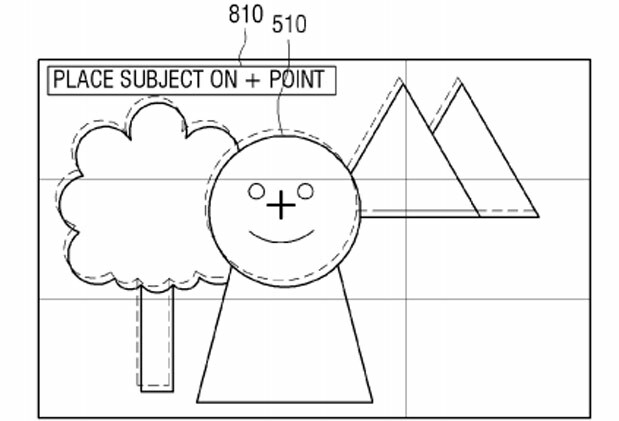 This is just words and a few diagrams at this stage, mind, but if the patent gets granted, we could eventually see such a feature added to Samsung’s smartphones or Galaxy cameras. Until then, you’ll just have to put your trust in strangers and hope they have at least a basic understanding of the rule of thirds. Looking to save some coin on your tech purchases? Of course you are! In this roundup, we’ll run down a list of the freshest frugal buys, hand-picked with the help of the folks at Slickdeals. You’ll want to act fast, though, as many of these offerings won’t stick around long. A busy week has nudged us off of our regular roundup schedule, but don’t fret because we’ve still got a smattering of links to consider — regardless of the day. A duo of Dell wares hit the list with a 24-inch UltraSharp display and Inspiron 15R SE laptop. Details on that pair and the remaining items rests on the other side of the break. Tags are so 2008. Google doesn’t want you to waste time tagging your photos, except for the people in them. The web giant wants to be able to recognize more abstract concepts like “sunset” or “beach” automatically and attach that metadata without further input. In yet another post-I/O update, Google+ photos now uses computer vision and machine learning to identify objects and settings in your uploaded snapshots. 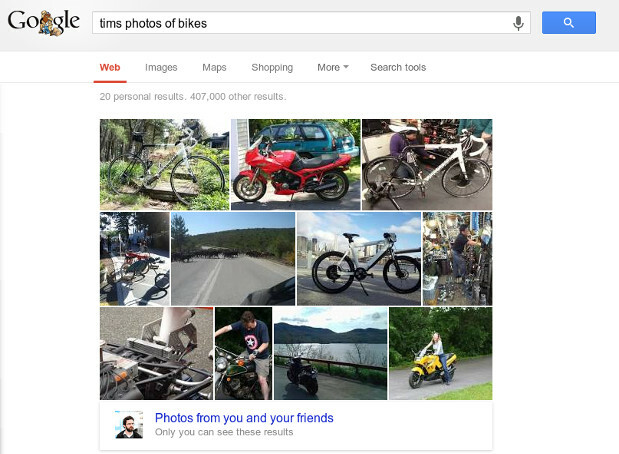 You can simply search for “my photos of trees” or “Tim’s photos of bikes” and get surprisingly accurate results, with nary a manually added tag in sight. You can perform the searches in Google+, obviously, but you can also execute your query from the standard Google search page. It’s pretty neat, but sadly Mountain View seems to have forgotten what cats look like. This entry was posted on May 23, 2013, 5:42 pm and is filed under Mobility. You can follow any responses to this entry through RSS 2.0. Both comments and pings are currently closed.